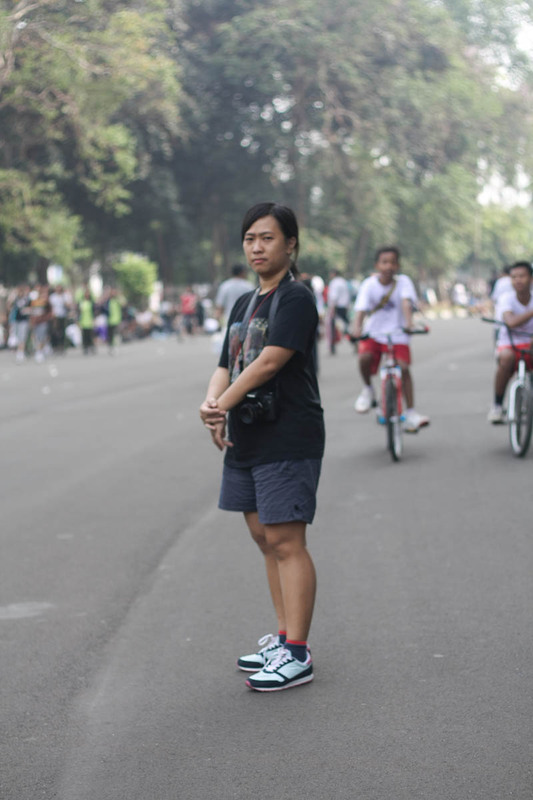 At this post I would like to continue my latest blog post about fashion photography class hunting to Gelora Bung Karno, Jakarta, to find something "fashionable" on people there. 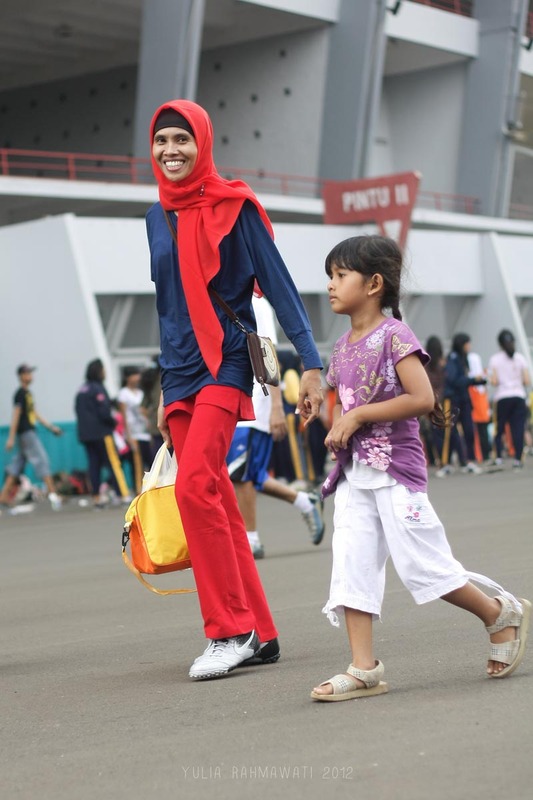 As I told you on my latest blog post, me and my fashion photography classmate along with our teacher Mbak Sianny went to a sport field in Jakarta to practice how to take pictures of street fashion photography. 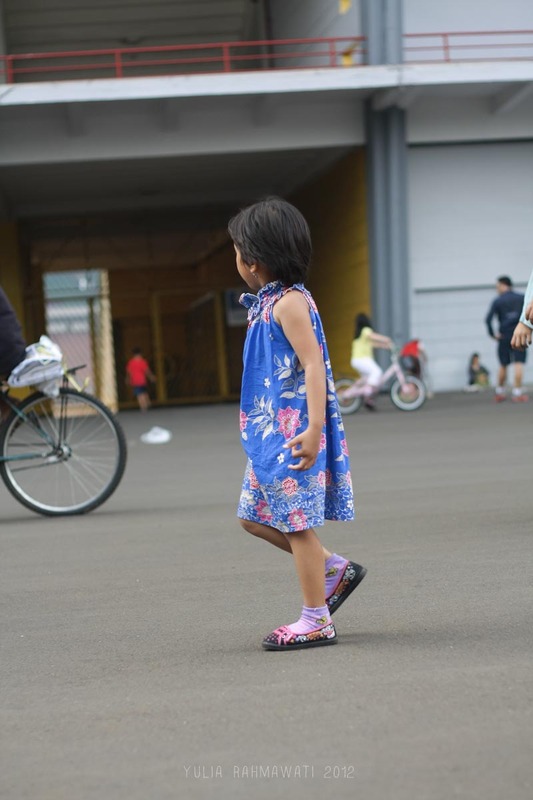 Maybe you will think why we are going to such that place while there is Jakarta Fashion Week available that time where it will be much easier to recognize fashionable people there at Jakarta Fashion Week rather than at a sport field such Gelora Bung Karno. But my teacher has her own reason to put us there at a sport field where people actually does not going there to show off, they just wanna do sport and wear sport outfit that make them feels as comfortable as possible. So that is the challenge, from thousand people who dressed as comfortable as possible to do sport, running, walking, aerobic there, could we find something fashionable on them? I must say it is not really easy to do that, meanwhile actually it is as simple as find a details on a short red pants that makes a simple red pants looks fashionable. 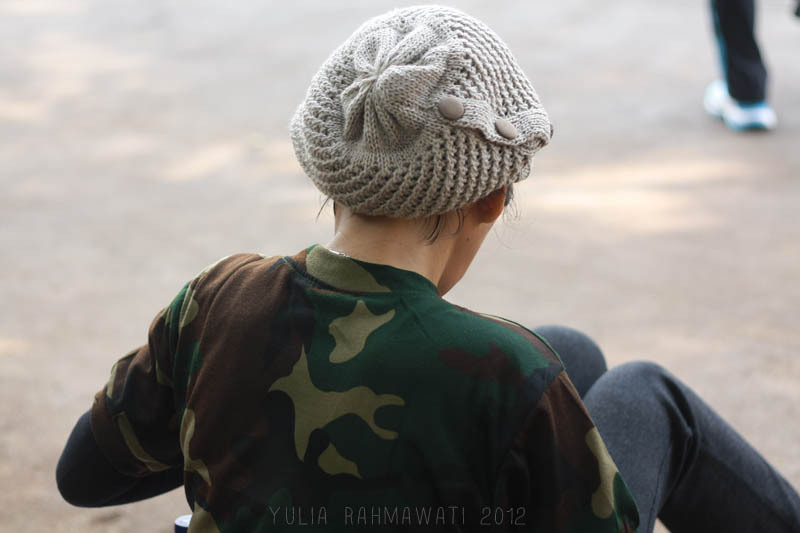 This old man photography is one of my most favourite shoot that day. Eventhough I didn't shoot him for fashion street photgraphy purposes, I took his picture because it is interesting that he brought a pair of rollerblade along with him in Indonesian formal clothes named "batik". Some hilarious ones, really great （￣ー￣）. 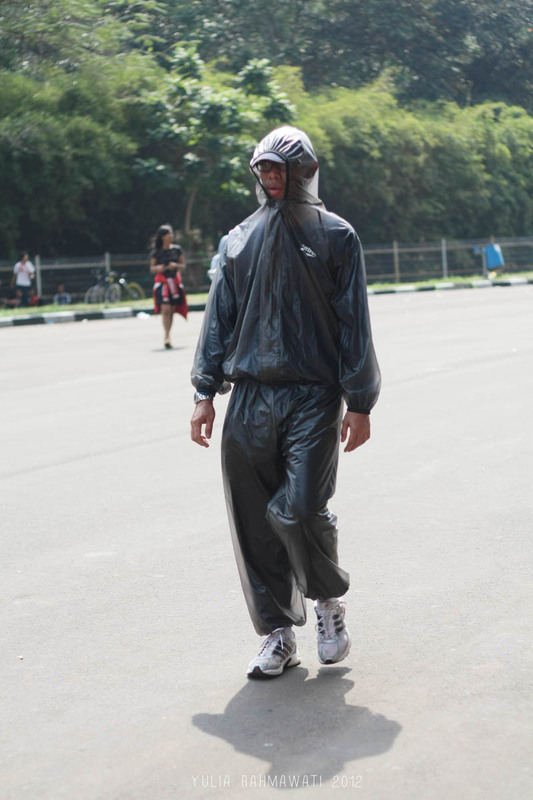 That young man in the plastic rain attire or those man's naked legs with these eh, trendy??? not outrageous, socks :)). I really don't know how fashionable these nice people's clothes/garment are, but your photos definitely are a high skilled photographed perfect sociology in pictures of urban casual wear ! Hey those are very lovely pics! Sweet! 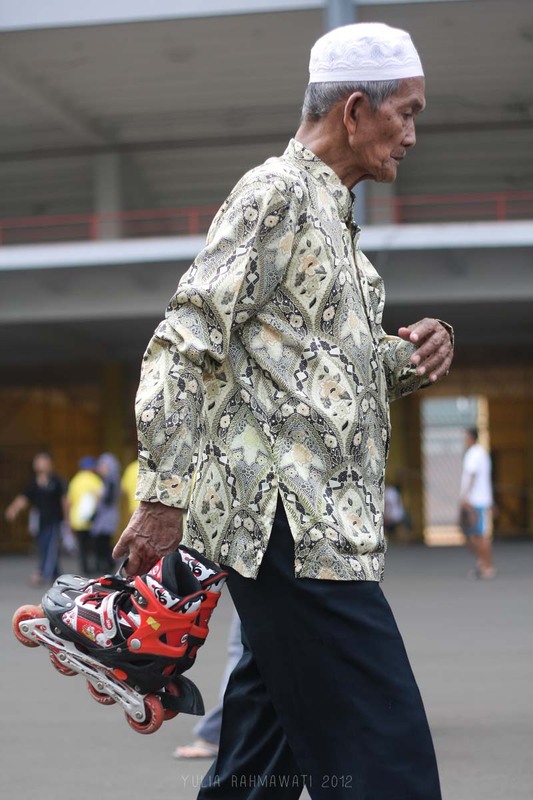 daaaan itu foto an old man with rollerblade.. aaah momentnya keren banget, pengen juga ngambil foto kaya gitu :D my favorite too kak!